Following topics were discussed: security of gas supply, solidarity principle in the context of draft Regulation of the European Parliament and of the Council concerning measures to safeguard security of gas supply and repealing Council Regulation 994/2010. The meeting was organized in the context of new electricity market design. In accordance with the European Council conclusions, completing the Internal Energy Market is the key element of the 2030 climate and energy framework and a condition for a positive transformation of European energy system. The meeting was devoted to examining the evaluation of cohesion policy results. It was attended by the representatives of V4 as well as Bulgaria, Croatia, Romania and Slovenia. The discussion panels offered a suitable venue for raising issues related to joint V4 + 4 initiatives. It has also created an opportunity to discuss study on what kind of benefits the EU-15 countries obtain while granting cohesion policy-related support to the Visegrad Group. The methodology of the performed evaluation was also discussed. During the second day of the meeting discussion was devoted to the issue of promoting the positive image of the cohesion policy, in the context of the planned Multi-Annual Financial Framework 2014–2020 review. The Polish Ministry of Economic Development have proposed to undertake various joint tasks, within an enlarged V4+4 format, which will be aimed at promoting the positive image of the cohesion policy both in the V4 + 4 countries and at the EU level. The relevant proposals have been largely endorsed by the V4 participants as a necessary elements of the lobbying strategy in favour of the cohesion-policy. The V4 countries presented a joint document, which sets out measures to exit from the crisis in Europe and the proposal of a new agreement within the EU regarding migration policy, the aim of which is to focus on humanitarian aid, solving the problems of migration, where they arise. The joint statement of V4 regarded also the issue of strengthening the democratic legitimacy of the EU, inclusive nature of the process of European integration open to all Member States, the widely recognized safety of the EU and the EU common market. Mrs. Elżbieta Rafalska, Minister of Family, Labour and Social Policy hosted the meeting. She was accompanied by the Deputy Ministers: Mr. Stanisław Szwed, Mr. Krzysztof Michałkiewicz and Mr. Marcin Zieleniecki. Other V4 countries were represented by Mr. Jan Richter, Minister of Labour, Social Affairs and Family of the Slovak Republic, Mrs Iva Merhautová, Deputy Minister of Labour and Social Affairs of the Czech Republic and Mr. Attila István Simon, Deputy State Secretary in Ministry of National Economy Hungary. It was the first event of that kind during the Polish Presidency of the Visegrad Group. Discussions focused on current challenges in Europe related to employment situation and social affairs. Ministers exchanged also views on national actions in this field. The need for close cooperation at the working level was stressed. It was also agreed that the next meeting of Ministers could take place in the first half of 2017. The ministers summarized the informal meeting of Heads of State and Government the EU-27 in Bratislava and talked about agenda for the next Council of General affairs (Turkey, Syria, migration, peace talks in the Middle East and Afghanistan). The coordinators discussed the outcomes of the V4 meetings that took place during first months of the Polish presidency, as well as calendar of planned events with particular attention to the V4+ format. The functioning of the International Visegrad Fund was also on the agenda. 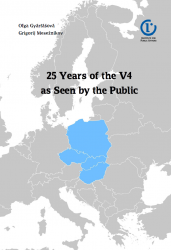 The next meeting of National V4 Coordinators will take place on November 23 in Bratislava. The meeting of V4 countries and Romania, Slovenia, Croatia, Bulgaria was held in Warsaw on 22–23 of September. The conference, organised by Ministry of Economic Development, was dedicated to Cohesion Policy implementation under 2014–2020 financial perspective. The first day of this meeting was devoted to examining the effects of reformed Cohesion Policy implemented in the years 2014–2020. The emphasise was put on the exchange of experiences in the field of new implementation mechanisms of the Cohesion Policy programmes. The participants outlined best practices and referred to solutions introduced in 2014–2020 financial perspective (in the EU regulations) that adversely affect the implementation of the cohesion policy. Moreover, the discussion was focused on planned legislative changes in the field of Cohesion Policy (“omnibus regulation”), and allowed to determine areas, which could be jointly supported by the V4+4 countries at the further stage of relevant negotiations on possible legislative changes. During the second day of the meeting discussion focussed on strategic conditions of the cohesion policy, introduced in the framework of the reform of the current programming period incl. ex ante conditionality, performance reserve and performance framework and national and regional smart specialization strategies. The discussion was largely focussed on examining (for the first time in the current programming period) the effectiveness and viability of the above-mentioned mechanisms, the advantages they bring and the possible scope for their upgrading, also in the context of preparations for the next financial perspective. The issues of climate policy and biodiversity in the context of economic and social development were focus of discussion. Polish Minister of Environment Minister Jan Szyszko underlined the role of the Paris Agreement in the context of EU climate policy, especially in order to ensure its cost and environmental effectiveness. He noted that the absorption of CO2 by forests, recorded in the Paris Agreement, should be reflected in the EU's climate policy. Another widely discussed topic was biodiversity and problems associated with the inclusion of biodiversity into the policies of other sectors in particular. There was an exchange of views on reconciliation of biodiversity conservation with the needs of development and effective managing of protected areas. Additional topic were the process of evaluation of ecosystems and ecosystem services (i.e., urban planning and regional planning, including mining, infrastructure, energy, construction). At the end of the meeting the heads of delegations signed a joint statement. The possibilities for V4 cooperation in the implementation of the NATO Warsaw Summit’s provisions and rotational training presence in the Baltic countries in 2017 were in the center of talks. A common training and exercises strategy for the years 2016–2021 and agreed procedures to develop an annual plan of joint exercises and training (V4 MTEP) were also discussed. An important element of the meeting were also talks on Joint Capabilities Development Effort and the effective use of EU’s “Pooling and Sharing” and NATO’s “Smart Defence” initiatives. The Gas Forum was a great opportunity to exchange views and ideas on the development of the gas market in Central and Eastern Europe, particularly among V4 participants. In order to effectively represent the interests of the region at the EU forum, areas of possible cooperation had been discussed. Moreover, Poland presented also a newly constructed LNG terminal in Świnoujście. The meeting was devoted to discussing the role of the Cohesion Policy among other EU policies both in the present and in the next programming period. The leaders of Poland—Andrzej Duda, Slovakia—Andrej Kiska, Czechia—Miloš Zeman and Hungary—János Áder discussed strategic challenges of the youth policy facing the V4, such as the future of young generations, demographic developments and responsibility of politicians for creating opportunities, including job opportunities, for young people. They have also discussed issues of the European identity and culture. The four Presidents visited also the Museum of Poles Saving Jews in Markowa. During second day of the summit, the president hold a plenary session devoted to security of the gas market in Central Europe. The meeting was attended the European Commission’s vice-president and Commissioner in charge of the Energy Union, Mr. Maroš Šefcovič. Ministers of V4 countries, countries of Western Balkans (Albania, Bosnia and Herzegovina, the Republic of Macedonia, Montenegro, Serbia, and Kosovo), as well as of Bulgaria, Croatia, Greece, Romania, Slovenia and Italy will discuss the process of integration of Western Balkans region with European Union. During the meeting there also be tackled a wide array of security related issues: migration, energy security, hybrid threats, terrorism and organized crime. The conference will be attended by the Deputy Prime Minister Mateusz Morawiecki, representatives of the Visegrad Group countries, Bulgaria, Croatia, Slovenia and Romania (V4 + 4 format), at the level of both governments and entrepreneurs. Talks will concentrate on the protectionist measures undertaken by some Member States in the EU internal market and the resulting barriers, which seem to curtail the smooth conduct of business activities by entrepreneurs. The topics will be related to the agricultural priorities of the Polish V4 Presidency: the mid-term review of the 2014–2010 multiannual financial framework in the context of the CAP and the future of this policy after 2020, as well as the preliminary debate on CAP simplification proposals contained in the “Omnibus” Regulation. The Ministers of Agriculture of V4 + 3 will also discuss the issues related to the “hygiene package”, the market mechanisms concerning the sugar and cereals market, the performance of projects in the field of agriculture within the Horizon 2020 Programme, as well as trade in agricultural properties. A common declaration of the participating countries will be adopted at the conclusion of the meeting. The meeting will be devoted to the possibilities of further cooperation in the extended format in with regard to migration (its impact on internal security), asylum and border management in the context of current trends and discussions at the EU level.